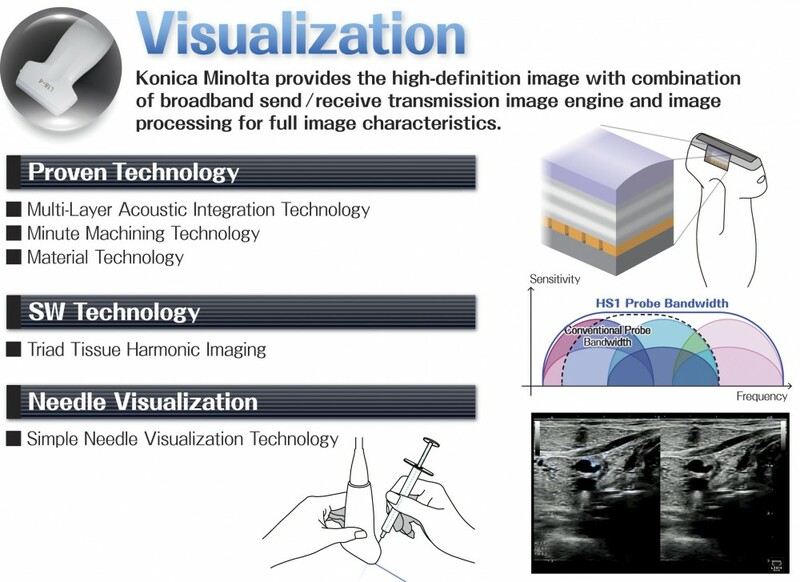 SONIMAGE HS1 brings you the performance of a high-end ultrasound system in a compact design. With our unique technology, you can expect high quality imaging in a hand-carried unit. Advanced digital signal processing further elevates the high resolution imaging for exceptional detail. With the SONIMAGE HS1 best-in-class image quality, clinicians can visualize structures as small as several hundred microns, making it ideal for detailed tissue visualization and differentiation that increases clinical confidence and productivity.